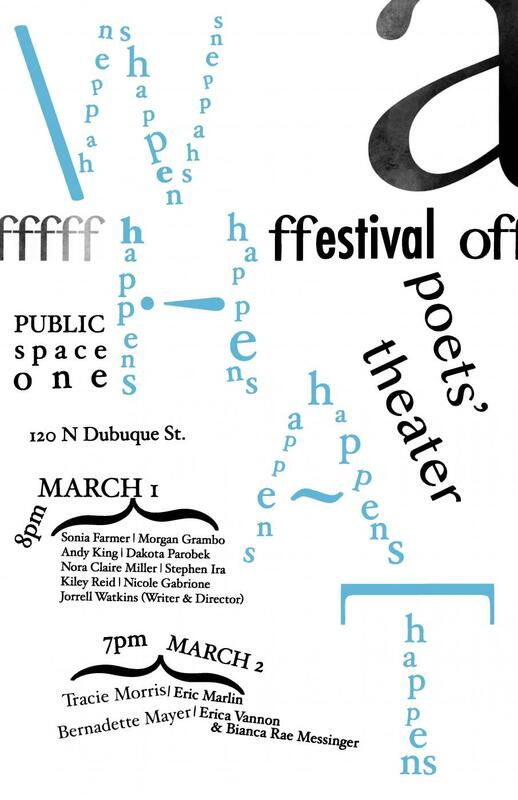 Work by MFA candidate Sonia Farmer will be performed as part of What Happens: A Festival of Poets' Theater, held at PS1 following the Spring Gallery Walk. This year's festival will take place on two nights, March 1st and 2nd, and features invited guests Tracie Morris and Bernadette Mayer alongside student playwrights. What Happens is supported by an Arts Without Borders grant from the Department of Theater and by the Iowa Writers' Workshop.